In this and the following sections of this chapter, Marx sets out his theory of crises. He does so by taking apart the theories of crisis of his predecessors and contemporaries. In recent years, there has been considerable debate, amongst Marxist economists, about Marx's theory of crisis, and what role the Law of the Tendency for the Rate of Profit to Fall, plays in it. It's interesting to note that, in the fifty or so pages that Marx devotes to the issue of crisis here, he does not mention his law of falling profits even once. Where, later in the chapter, he does talk about the role of falling profits and crises, it is not in relation to his law, but is in relation to the Ricardian Law, whereby profits are squeezed due to rising material prices, and by a subsequent rise in wages, and rents. In other words, by the very opposite conditions he describes as existing as the basis of his own law, i.e. rising social productivity, and rate of surplus value, falling value of labour-power, and of constant capital, and a rising mass of profit! In other words, this later discussion of the role of a falling rate of profit, in relation to crises, is on the basis of his previous critique of Ricardo's theory of falling profits. It is on the basis of a Ricardian/Smithian profits squeeze, where a period of expansion and capital accumulation causes wages to rise (Smith/Ricardo) and/or results in sharp rises in the demand for raw materials that cannot immediately be met at existing values/prices, and cannot be passed on in to the prices of final output, thereby reducing realised profits (pace Capital III, Chapter 6), which is the theory set out by Malthus, Ricardo et al. This fall in the rate of surplus value, and inability to convert all produced surplus value into realised profits is what then results, according to these theories, in a fall in the rate of profit, and as Marx sets out in Capital III, Chapter 6 and 15, this overproduction of capital resulting in this profits squeeze, then periodically breaks out as a crisis of overproduction, as the capital consumed cannot be reproduced, which means that rather than there being a gradual fall in the rate of profit, there is a sudden collapse in profits and the rate of profit. As Marx says, such conditions often arise as a consequence of periods of boom. These sharp reversals arise when prices are relatively high. So, as he sets out later in this chapter, as against Ricardo, and as he set out in Capital III, Chapter 6, in a period of rapid expansion, an inability for suppliers of raw materials, for example, to expand production quickly enough can lead to those material prices surging to a level which cannot be recovered in the market price of the finished commodity. If they increased their market prices, there would be a sharp fall in demand for their commodities. But, capitalist producers are dependent on continuing to produce on a mass scale. Unable, therefore, to cut back production to what would be inefficient levels, they have to absorb the material price increases themselves from their profits, causing a profits squeeze. But, as Marx sets out in Capital III, Chapter 6, in relation to the effect of the US Civil War, that may also take the even more extreme form of an inability to obtain inputs almost completely. 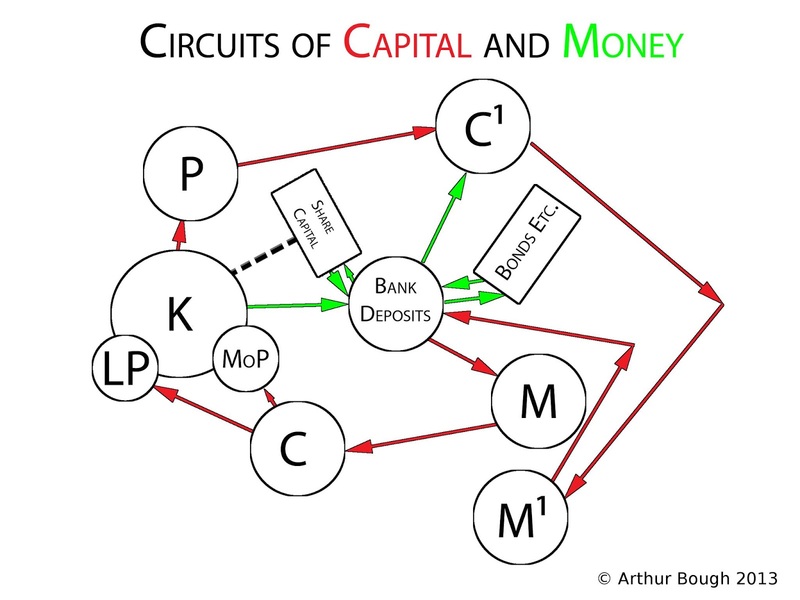 The circuit of capital then breaks down, because realised money-capital cannot be metamorphosed again into productive-capital. As I have set out in my book, Marx and Engels Theories of Crisis, Marx and Engels did not have a single theory of crisis. 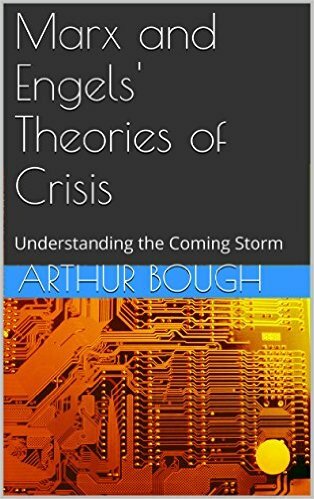 They had a theory of crises, which, in fact, brings together a number of theories of crisis, because the fact is that crises can break out under capitalism for a number of different reasons. 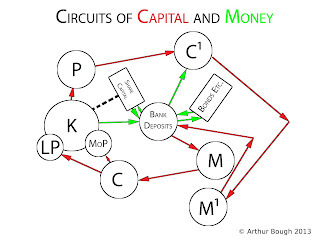 The circuit of capital can break down at each of the points where one form of capital value is metamorphosed into another form of capital value. Indeed, as Marx says, all of these potentialities of crisis exist under all forms of commodity production and exchange, but it is only under capitalism that this potentiality becomes transformed into an inevitability. Moreover, for 400 years of capitalist production itself, crises of overproduction did not occur.